When it comes to storing explosive data growth, flash technology supersedes hard disk drives (HDDs). Unfortunately, a major barrier toward all-flash or hybrid systems adoption has been cost, since flash traditionally has been more expensive the HDD technology. However, a leading vendor is redefining the economics of enterprise storage with flash at the price of disk. 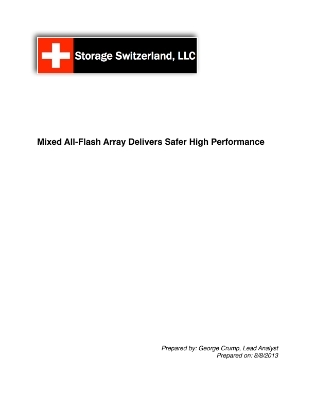 This white paper showcases a sale-out all-flash storage array that redefines the economics of enterprise storage by deploying a single platform for block and file with built-in efficiency, resiliency and intelligence to optimize your IT budget.